Every player dreams of having that slice of basketball immortality. For Michael Jordan, it was 'The Shot.' For LeBron James, it was 'The Block.' Whether it's a game-winning basket or game-saving defense, ballers imagine themselves making a play that will define their celebrated career. Superstar pros are more likely to find themselves in those kinds of situations, given the circumstances of playing on the big stage. But for casual hoopers who only get their chance playing in weekly groups, they'd be lucky to have a spectator looking in their direction when they drain two shots in a row. Cholo Legisma, founder of one of the premiere recreational leagues in the Philippines, has always fantasized about playing with all eyes on him, and he actually took the steps to make that a reality. Basketball wasn't even his primary sport. He was really into chess. He fell in love with the game after countless hours of watching Allen Iverson mixtapes, and that was when he started taking basketball seriously, joining pickup games whenever he had the opportunity. But Cholo knew his limitations. "I never tried out for varsity teams because I felt I wasn't good enough, tsaka maliit lang naman ako eh," he admits. "At that time, mataba ako tapos madaming mas magaling sa'kin." Still, the idea of playing under the bright lights like his hardcourt heroes intrigued him. "What if I had my own highlight reel? What if my stats and performances were documented?" Those questions lingered in his head as he went through his basketball grind. When a friend brought up the idea of organizing a major basketball community, Cholo was hesitant at first. He felt he didn't have enough connections and, more importantly, a proper background in the sport itself. But really, all he needed was a desire to elevate the status of recreational leagues. Hence, the Kings of the Court were annointed. KotC wasn't even the first of its kind. The likes of Passion Basketball League (2012) and Next5Hoops (One Unite) were already established rec leagues in the country when Cholo and his co-founders introduced their pet project. Eight squads saw action during KotC's inaugural season, which began in January of 2014. The groups were basically made up of Cholo's circle: friends from high school, college, and grad school. Fast-forward to its fourth year, and the agency is catering to more than 120 teams in five divisions (Titans, Kings, Squires, Rooks, Beginner). And we're just talking about the main season. 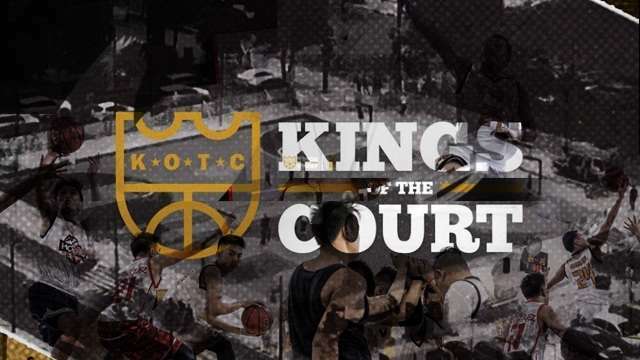 So how did Kings of the Court set itself apart from predecessors? Everyone had neat graphics for the Player of the Game. Everyone had multimedia coverage of the highlight plays. But Cholo makes a bold claim about being the first league to be given a personality, which helped in stirring competition among participants. He takes pride in their research team, especially the work it has put in digging up player backstories and looking for possible angles. These exclusive details are laid out in their write-ups, which he describes as "more of storytelling than sportswriting." On their personalized reportage, Cholo recalls asking himself, "'Basketball pa ba 'to?' Pero ang ganda ng reception eh. When we released our materials for the first season, sobrang na-excite yung mga tao." This style connected the players to the league, which also fostered a culture of drama that normally surrounds important games. The atmosphere, in turn, encourages returnees and recruits for coming seasons, making it easier for the staff to pen compelling articles. At the end of the day, Cholo credits every bit of their success to the brand. The advertising management major actually had second thoughts about using the name 'Kings of the Court.' While it created a sense of "elegance and prestige" that every basketball player deserves, he felt that the label could alienate local ballers. But wanting to break the notion that rec leagues are simply for "papawis" sessions, they pushed through with it. Cholo sums up their mission-vision statement with one word: empowerment. "When you say Kings of the Court, 'Ako ang pinakamagaling dito!' Even though in reality, maraming mas magaling sayo, but somehow, through our services, napaparamdam namin na ikaw ang pinakamagaling." The meteoric rise of KotC wasn't spared from a few bumpy rides. In an organization bound by rules, Cholo has seen his fair share of complaints and violations, especially when he handled commissioner duties. His position left him vulnerable for bad blood with losing squads, which robbed him of the chance to render other services (handling corporate and inter-local government unit leagues) and widen their network. Cholo has since delegated a technical committee to do the "dirty work" for him, so he can deal with the macro tasks. Initially hands-on with logistics, he now visits games only to do spot-checking. "Hindi talaga nawawala sa'kin yung kagustuhang makilala ang isang team at makita kung paano maglaro. Pag pumupunta ako sa games, makikipagkwentuhan na lang ako sa mga players." Some critics, however, can't be silenced. There was a time when negative comments took over their Facebook page, prompting the group to formulate an official statement addressing the issue. But upon realizing the scope of the damage (having more than 70,000 followers), Cholo had to reconsider the move so as to not appear that they were merely firefighting. Instead, they found a way around the controversy. They launched a clothing series with the caption "In the midst of adversity" that used an image of a fallen player in its graphic design. It was an ingenious way to turn pain into profit—one of the valuable lessons that the company has learned along the way. Cholo says, "Kung dati yan, ilalaban ko yung KotC, hindi ako papayag na ina-ano niyo kami. Pero ngayon, may mga decisions na kailangan mas conscious ka pa rin sa brand." While KotC didn't face a major hit, it came to a point when Cholo and his partners asked themselves if the effort was worth it. At that time, the numbers didn't translate into something that they could do full time. They were running the league in between day jobs after all. But with the guidance of his marketing-savvy brother, they agreed on carrying on with the promising venture and set "crazy" targets that are still backed up by statistics. Recently, Cholo left his work as a publishing specialist to dedicate himself to their burgeoning enterprise. After almost hitting their original target of 168 teams without breaking a sweat, he envisions a thousand teams signing up for KotC in the near future, only in the main season and excluding their side-league arm that is gaining traction. Armed with an elite brand, a sound business model (a 10-year plan until 2025), and a growing core (seven regulars, 30 part-timers), he is confident with his ambitious projections. "You may think na marami na yung 120 teams eh," he explains. "Pero makikita mo may naglalaro sa ganitong court, 20 teams, ni walang sumasali sa KotC. Kaya ako naniniwala na meron pa diyang 1,000." After all, KotC was the product of a hoops aficionado's pipe dream. And if Cholo thought editing his own mixtapes a la Inside Stuff: Jam Sessions was preposterous, a league tailor-made for regular Pinoy ballers might not even exist today. Reaching for the stars has always worked for him and his peers, so why stop now? Cholo's success story magnifies the unparalleled love Pinoys have for the game and the endless possibilities that come with it. 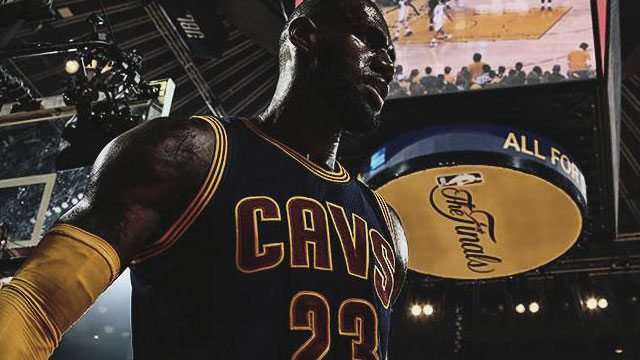 With sincere dedication and insurmountable grit, even someone who is admittedly not built for the sport will find a way to make his mark and carve out a legacy on the court.